Lexington is a weird and wonderful place with a rich culture and a storied past. 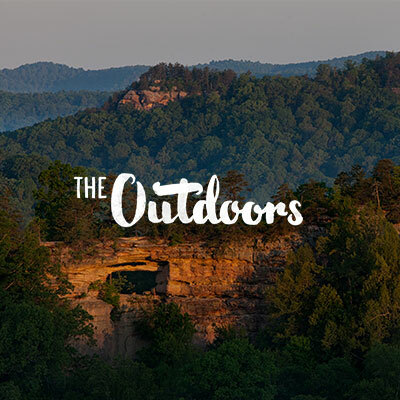 Up your knowledge of this unique part of the country with these fun bits of trivia. 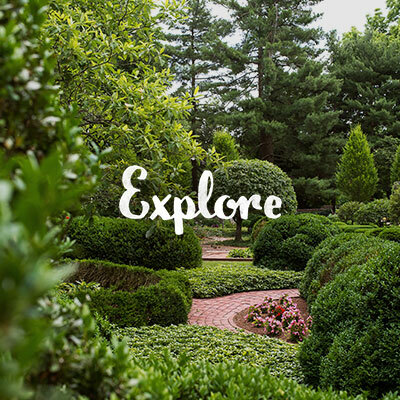 Famous faces, interesting places and everything in between – here are 25 fun facts that contribute to the uniqueness and charm of Lexington. 1. Where has the Queen of England vacationed? Lexington, Kentucky my friend. It’s not exactly a timeshare situation, but Her Majesty has traditionally been involved in the world of Thoroughbred racing, and has housed horses at Lane’s End Farm. 2. You might bump into a few other celebrities here as well. Ashley Judd, a University of Kentucky alumna, is a fixture at Kentucky Wildcat basketball games. And Broadway musical star, Laura Bell Bundy, George Clooney, Johnny Depp and Sturgill Simpson were also born in or around Lexington. You may also catch Food Network Chef Bobby Flay here several times a year checking out Thoroughbreds he owns at Ashford Stud or purchasing horses at Keeneland Sales. 3. Transylvania is here. No, not that one. Our Transylvania University, the first college west of the Alleghenies, was established here in 1780. “Transy” is consistently named one of the top liberal arts colleges in the nation. 4. Every Halloween, two thousand zombies rise up at the historic Kentucky Theatre and dance their way down Main Street. Lexington was the first city to launch a Michael Jackson Thriller reenactment, and it’s now a colossal, can’t-miss event. 5. Our town scored another serious musical scoop back in 1817. Bohemian émigré Anthony Philip Heinrich led the very first performance of Beethoven’s Symphony No. 1 ever heard in the United States, right here in the Bluegrass. The venue? A tavern. 6. We actually had a “town dog” in the 50s. Smiley Pete’s daily routine included a hamburger & waffles at Brandy’s Kitchen, a bowl of draft beer at the Turf Bar and popcorn at the Opera House. He died in 1957, perhaps due to a poor diet. A plaque at Limestone and Main commemorates the beloved pooch. 7. Notorious local madam Belle Brezing, who ran a high-class Victorian-era brothel out of Mary Todd Lincoln’s Lexington home, inspired Margaret Mitchell’s portrayal of Belle Watling in Gone with the Wind and was written up in Time Magazine following her death. Pay a visit to her namesake watering hole, Belle’s Cocktail House. 8. Lexington has always accepted “wild Kentucky women” of all kinds. Gay African-American cross-dressing male “Sweet Evening Breeze” lived here openly in the early mid-twentieth century. Area vineyard Talon Winery carries a “Sweet Evening Breeze” wine and is reportedly haunted by Miss Sweets’ friendly ghost. 9. When great Thoroughbred, Man o’ War, died in 1947 at the age of 30, over 2,000 people attended his funeral, which was broadcast on live radio (were ESPN around, we would have insisted on all-day coverage). 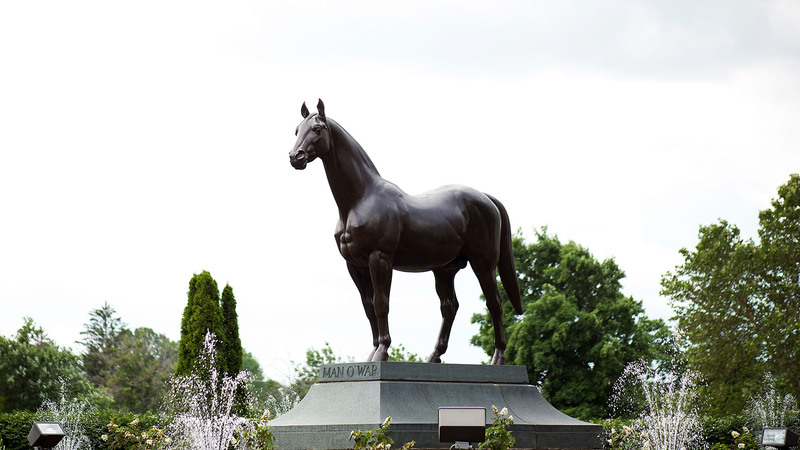 See his memorial at the Kentucky Horse Park. 10. 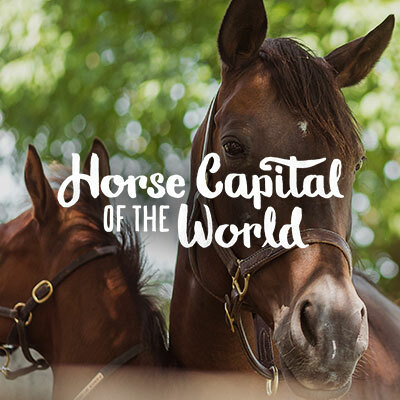 More champion Thoroughbred horses are discovered at the famous Keeneland sales than anywhere else in the world. Come over and pick up a couple for yourself, or as gifts for friends. Prices range from a few thousand to a few million. 11. 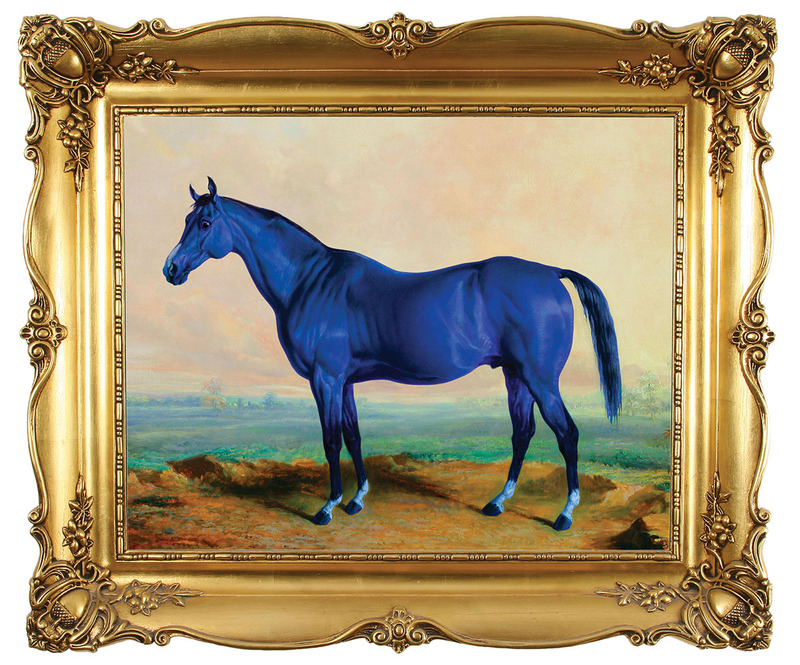 A few international A-listers who own Thoroughbred farms in the Bluegrass include Will Farish, former Ambassador to Great Britain (Lane’s End); Sheikh Mohammed bin Rashid Al Maktoum of Dubai, Vice President and Prime Minister of the United Arab Emirates (Darley at Jonabell); and Barbara Banke, owner of Sonoma County’s Kendall-Jackson Winery (Stonestreet). 12. Burgoo, a delicious local stew, was once made from blackbirds and squirrels. Fortunately, it’s made today with beef, and ranks with the sinful Hot Brown as the most famous of our local dishes. You’ll find both and more at many of Lexington’s terrific dining spots. 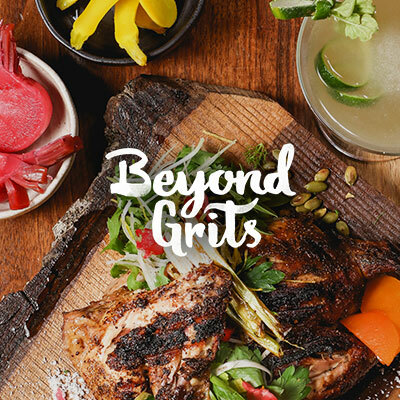 Find the full list at BeyondGrits.com. 13. Still hungry? Try the spicy local delicacy Beer Cheese, which has its own annual festival in nearby Clark County. If you prefer grits over cheese, famed food writer Jonathon Gold (seen on shows like Top Chef Masters) has said he could live on the grits made at our own Weisenberger Mill. 14. 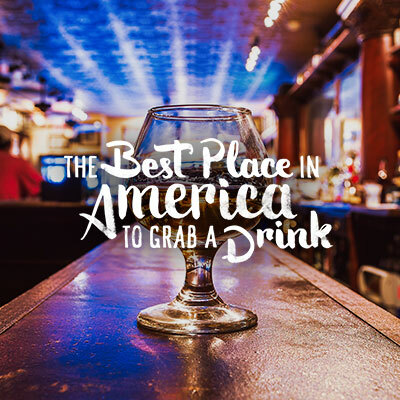 Bluegrass Tavern in Cheapside Pavilion is consistently lauded by publications such as Garden & Gun as one of the best bourbon bars in the South, boasting a bourbon selection of more than 450. And Draft Magazine claims The Beer Trappe in the Chevy Chase area as one of America’s top 100 beer bars. 15. 95% of the world’s Bourbon is aged in Kentucky, and there are 9 distilleries within 35 minutes of Lexington, including two right downtown. 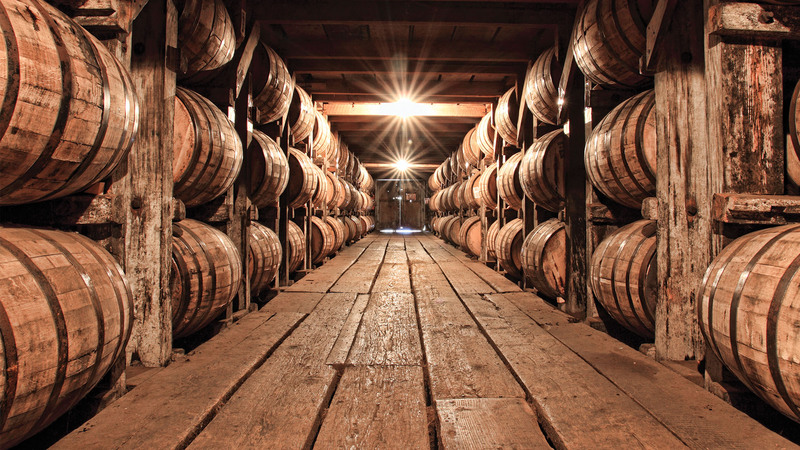 Take a distillery tour and you can sample the unaged Bourbon that’s become notorious as Moonshine or “white dog.” Fun fact: There are more than five million bourbon barrels aging in Kentucky – that’s more bourbon than people! 16. In the 9th Century the Shakers were so-named because they would “shake” during religious services. Today we remember them for their dedicated and careful furniture-making and architectural style. The largest restored Shaker community, Shaker Village of Pleasant Hill, is a scenic 30-minute drive from Lexington along the Palisades of the Kentucky River. 17. Garrett Morgan, born in next-door Paris, Kentucky, was an African-American inventor of note in the early 1900s. His inventions included the traffic signal we use today, and a breathing device that made news around the world when used to save men trapped in a tunnel under Lake Erie in 1916. 18. We have more than 30 street murals (and counting!) around town, many commissioned by the organization PRHTBN. 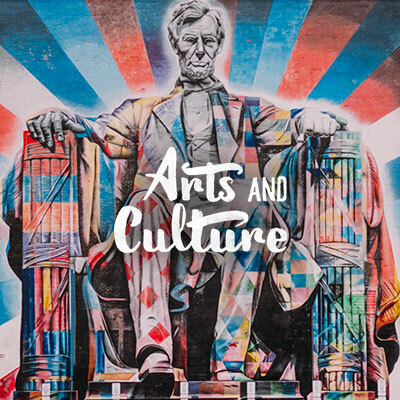 One of our most popular is the world’s largest mural of Abe Lincoln, a colorful piece of work from Brazilian artist Eduardo Kobra. 19. Lexington is home to the headquarters for the Jockey Club, a national organization dedicated to the integrity of Thoroughbred breeding and racing. 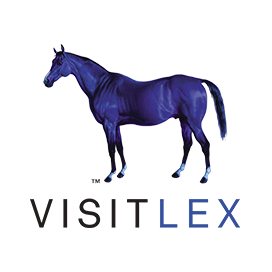 They are also responsible for reviewing and approving the names of every registered racehorse – and you can’t name your horse just anything! 20. One horse credited with solidifying Lexington’s title as the “Horse Capital of the World” was a racehorse aptly named “Lexington,” who went blind upon his retirement, but went on to lead America’s sire list for 14 consecutive years until his death (and twice more posthumously)! 21. We even have our very own castle! The Castle Post, also known as the Martin Castle, was originally built in the 60’s by Rex and Caroline Martin, who divorced before its completion. It has since changed hands and become a sort of roadside photo-op for tourists, and also acts as an inn and special events venue. 22. Buffalo Trace Distillery, through the help of Colonel Albert B. Blanton, was one of four distilleries to obtain a special government license to produce “medicinal whiskey” during Prohibition. You can check out an original “prescription” at Buffalo Trace. Blanton is honored today with Blanton’s Single-Barrel Bourbon at the distillery. 23. Inside a small concealed room at The St. Paul African Methodist Episcopal Church is a preserved “station” on history’s Underground Railroad, where slaves waited for safety before crossing the river to Cincinnati towards freedom. The church is believed to be the oldest continuously existing house of worship in the city. 24. The Lexington Public Library is home to the world’s largest ceiling clock, a five-story Foucault Pendulum and frieze. The pendulum depicts the history of the horse in the Bluegrass and was designed by Lexington artist Adalin Wichman. 25. Statesman Henry Clay’s cousin, Cassius Marcellus Clay, was a vibrant character from “back when.” So serious was he about ending slavery, he rigged his anti-slavery print shop in Lexington with a security system considered state-of-the-art at the time: a cannon pointed at the front door. It worked. Henry’s home, Ashland, and Cassius’s home, White Hall, are both available for tours. A new “fun stall” expands the Kentucky party to the Summit. Peek into the revival of the Old Taylor Distillery, reemerging in 2017 as Castle & Key. Hidden inside a co-owned Asian grocery store is an authentic international dining experience with infinite flavors.